Customers on support contracts receive a free update. 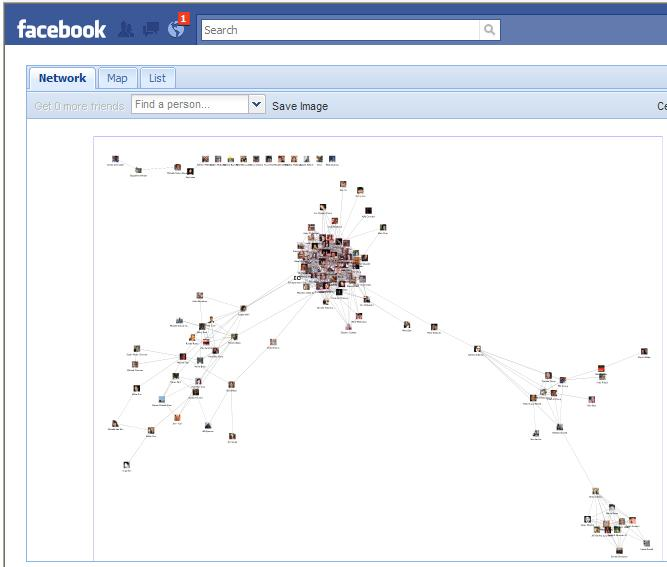 In response to the recent controversies over security breaches with Facebook apps, we are sharing our experience creating a Sentinel Visualizer app for Facebook back in 2010. Solutions for Enterprise-Wide Procurement (SEWP, pronounced 'soup'), is a multi-award Government-Wide Acquisition Contract (GWAC) vehicle focused on commercial IT products and product based services. The FMS Advanced Systems Group is pleased to announce that our Sentinel Visualizer software and related support and services are available for purchase on NASA’s SEWP contract found on the NASA SEWP Site. Instructions: Use your government agency email address to create an account and then Request A Quote. Make sure that you choose "Category D" otherwise your request might be overlooked. Includes Microsoft SQL Express 2016, SP1. This replaces the original RTM version. Customers on support contracts receive a free update. For more info visit, New Features in Version 7. Version 7.2.2 simplifies installation by separating the Sentinel Visualizer program from the installation of SQL Sever Express on your PC. With multiple versions of Windows and 32 vs. 64-bit environments, you can now install SQL Express 2016 or 2012 to ensure you have the latest version supported by your operating system. 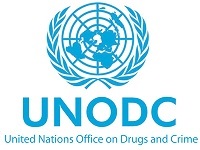 FMS President Luke Chung was invited to speak on several panels during this three day expert group meeting sponsored by the UNODC Terrorist Prevention Branch. Starting on the Monday after the Friday bombing in Paris, this timely event featured speakers from member nations discussing their experience identifying and preventing radicalization and the civilian role in addressing violent extremists. Official participants included 22 member nations and 7 international NGOs. Four private sector representatives were invited to share their experience helping organizations better manage their data, monitor activities, and support a counter-narrative to the radical messages from the Daesh/ISIS/ISIL inspired terrorists. Sentinel Visualizer was featured as a way to use its link analysis, social network analysis (SNA) and data analytics features to improve the prioritization of targets for investigations. Software as a Service (SAAS) comes to Sentinel Visualizer. Subscribe for the time you need the program without buying a perpetual license. The Sentinel Visualizer subscription lets you install the program on your PC and work with your SQL Server data. There is no need to host your data on the cloud. For more information, visit Sentinel Visualizer as a Software Service. Version 6.2 has a new and improved Reader. The free Reader allows you to share your work with non-Sentinel Visualizer owners. Create your diagrams and distribute them to your clients and colleagues. Let them open your link charts and drill-down to details and metadata without being connected to your database. For more information, visit Reader for Sentinel Visualizer. Corruption, fraud, and graft plague government and commercial entities around the world. Many organizations are leveraging the power of Sentinel Visualizer to detect and prevent such abuse. Learn more about our anti-corruption software. June 2013 - What information can you glean from billions of telephone call records? Learn how Sentinel Visualizer can perform Telephone Call Data Records (CDR) Analysis by combining Link Charts, Geospatial Mapping, Timeline Analysis, Social Network Analysis (SNA), Link Traversal and your other data to to prioritize suspects to investigate. April 2013 - Our hearts go out to the victims of the senseless assault at the Boston Marathon. February 2012 - FMS founder and president, Luke Chung, was invited by the governor to participate in his proclamation of 2012 as the Year of the Entrepreneur. 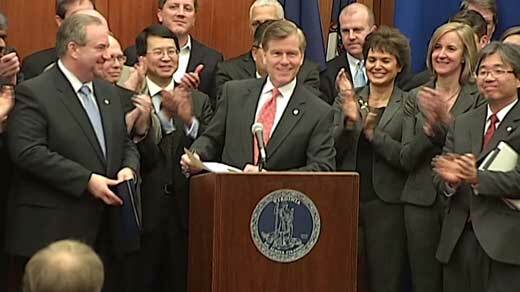 Mr. Chung stood behind Governor Bob McDonnell and Lieutenant Governor Bill Bolling during the press conference and participated in a day-long event supporting entrepreneurship, small businesses, and job creation. "Thank you for your flexibility and efforts towards helping my team get SENTINEL VISUALIZER up and running. Your extra-mile efforts were unusual and delightfully welcome in what was otherwise a bleak time and place." May 2011 - International human rights organization, Videre Est Credere, utilizes Sentinel Visualizer for analysis and planning to record and publicize atrocities. ""FMS Sentinel Visualizer plays a vital role in our fight for human rights by allowing us to effectively analyze and contextualize information to help bring perpetrators to justice,” says an official of Videre." Mar 2011 - Sentinel Visualizer 4.6 is available with enhanced Google Earth integration, declutter tools, data import and other enhancements to more quickly gain meaning out of large data sets. "We use Sentinel Visualizer practically every day. It’s made an enormous impact on our ability to effectively visualize and analyze our data sets." Customers on support contracts receive a free upgrade. "Without Sentinel Visualizer it would have been a daunting task or even impossible to break down the data and reveal the criminal networks behind one of the largest frauds in the history of the European Union." Sep 2010 - Sentinel Visualizer 4.5 is available with Google Earth integration, support for Windows 7 and 64 bit environments plus other enhancements. Dec 2009 - FMS has produced a short video which introduces the topic of Social Network Analysis (SNA). June 2009 - FMS attended the Basis Technology Government Users Conference, on June 8-9, 2009. April 2009 - FMS is proud to partner with Forensic Logic, a leader in providing solutions to Law Enforcement and Homeland Security customers. Learn more about Forensic Logic on our Partners Page. September 2008 - Join FMS, and 80 other industry leaders, in Suffolk, Virginia, on September 15-16, 2008 for the Advanced Visualization and Data Analytics Technology Exposition. May 20-21, 2008 - FMS Executive Vice President, Dan Haught, presented at the Basis Technology Government Users Conference in College Park, Maryland. With a keynote presentation by Stephanie O’Sullivan, Director for Science and Technology at the Central Intelligence Agency, hands-on tutorials, and in depth roundtable discussions. On Dec. 13, 2003, the 1st Brigade Combat Team of the U.S. Army’s 4th Infantry Division discovered Saddam Hussein hiding in a narrow, dark hole under a two-room mud shack on a sheep farm in the former Iraqi dictator’s hometown of Tikrit. Guiding the military’s months-long manhunt was a complex visualization of tribal and family members with close ties to Saddam. By applying the principles of social science to analyze these networks, it became possible to uncover specific individuals and relationships that ultimately revealed Saddam’s hiding place. Now, imagine trying to uncover these relationships in a mountain of data on a terrorist network with 20,000 members, or “nodes,” and more than 100,000 relationships. A number of new products are doing just that by sifting through clutter to reveal key connections within terrorist groups and possibly to predict their behavior. “No longer can analysts use just an organizational chart to describe an enemy’s configuration,” Lt. Col Brian Reed wrote in a recent issue of Parameters, published by the U.S. Army War College. Reed is one the architects of the plan that led to Saddam’s capture. At the heart of this boom is a discipline known as social network analysis (SNA), which uses mathematical algorithms to illuminate the patterns of the ties that link people, groups and organizations. By understanding these relationships, analysts can determine the most central figures in the network, their relationships and other important factors. Although this methodology has been with us for about 50 years, it began to garner fresh interest with the advent of supercomputers in the 1970s. The modern desktop computer is taking SNA to a new level. Sentinel Visualizer, developed by Vienna, Va.-based FMS Advanced Systems Group, is one of several new programs that aim to bridge the gap between merely displaying networks and fully analyzing them. It is able to find the shortest path between two entities while filtering data regarding specific people and places, relationships and the status of individuals who may be incarcerated or dead. Other algorithms included in the program can measure the relative importance of a node in the network, factoring in time and location, among a variety of considerations. January 2008 - Sentinel Visualizer included in Product Highlight section of January issue of The Police Chief magazine. December 2007 - Sentinel Visualizer is included in the January issue of New Jersey Cops magazine. December 2007 - Washington Post investigative reporter Douglas Farah, European investigators, and the Sierra Leone war crimes tribunal have uncovered a multitude of evidence suggesting that Al Qaeda has been operating in West Africa for years. There they have built an extensive operation using so called “conflict diamonds,” much harder to trace than bank accounts, to hold their assets. November 2007 - FMS President and founder Luke Chung was interviewed by Richard Trimber on "Business Destiny". The one hour live interview offered unique insight into the inner workings of FMS, specifically Sentinel Visualizer, how it came to be, and what plans are for the future. November 2007 - Sentinel Visualizer is featured in the IT Tools and Technology Section of the November Issue of Homeland Security Today. October 10, 2007 - FMS Executive Vice President Dan Haught was interviewed by Jane Norris and Francis Rose on "The Federal Drive" on Federal News Radio AM 1050 regarding Sentinel Visualizer and it's application to local, state, and federal law enforcement. Listen to the audio courtesy of "Federal Drive with Jane Norris and Francis Rose". October 8, 2007 - A thumbnail photo of Osama bin Laden leered out from a large, flat-panel screen at the Vienna headquarters of FMS Advanced Systems Group during a recent product demonstration. Radiating out from the picture were gray lines connecting it to dozens of other photos of suspected terrorists. Do you provide services to government and commercial customers seeking analytic solutions?